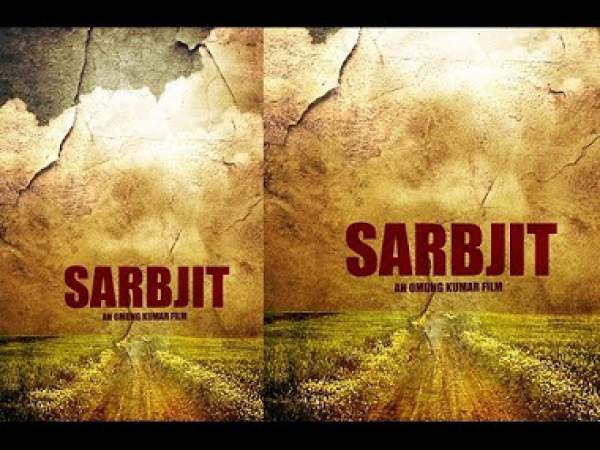 The film by Omung Kumar features the actions and work done by the sister of Sarbjit Singh, Dalbir Kaur. Aishwarya Rai Bachchan has played the role of Dalbir. She once said that the only crime of his brother was to wander the border region which he was drunk. According to the flick, Singh accepted that he was a terrorist bomber Manjit Singh. It may be because he was tortured to the extreme ends. The focus of the movie is the determined campaign launched by his sister Dalbir Kaur to clear his name and revealed his true identity. Here goes the review. The movie fails to build a continuous story, and it is clearly visible in the first half of the story. It is evident from the fact that one unnecessary flashback scene which splits the story in which Kaur was searching for Singh in a true Bollywood style. The scene of song and dance sequence of Singh’s marriage split the story. Such sequences don’t help the melodramatic scenes which only give important news about the unfortunate and unlucky farmer. What more they do is that they prevent Aishwarya to shine in the film at those times. Singh has been portrayed being in jail for most of the time as per the story. For the most of the storyline, the emotional Hooda is seen suffering from extreme physical and mental pain as well as appears to be saddened. He seems to be frustrated and angered for such life. Randeep has delivered excellent performances as there are some scenes of his talent where he has been shown crossing the border being in the state of drunk. Apart from jail scenes, he just appears to sing and dance rather than acting. The film gets to the main story and picks the momentum as it starts focusing on the Kaur’s campaign to save her brother and clear his name. While carrying out her campaign, she becomes heavy handed as Pakistani’s try to frame the plight of Singh freedom in the context of Indo-Pakistan relations. On the whole, the film appears to a campaign film not only for Singh for all the prisoners forced to remain behind the bars. It’s all because of the enemy like political relations between the two nations. The point which the film put is that majority of them are prisoners is just of not having passport seems to be a weak argument. TRT gives it 3 out of 5 stars. Maximum points to the star performances. Have you watched the movie? What’s your Sarbjit review? Share with us and see what others have shared in comments.